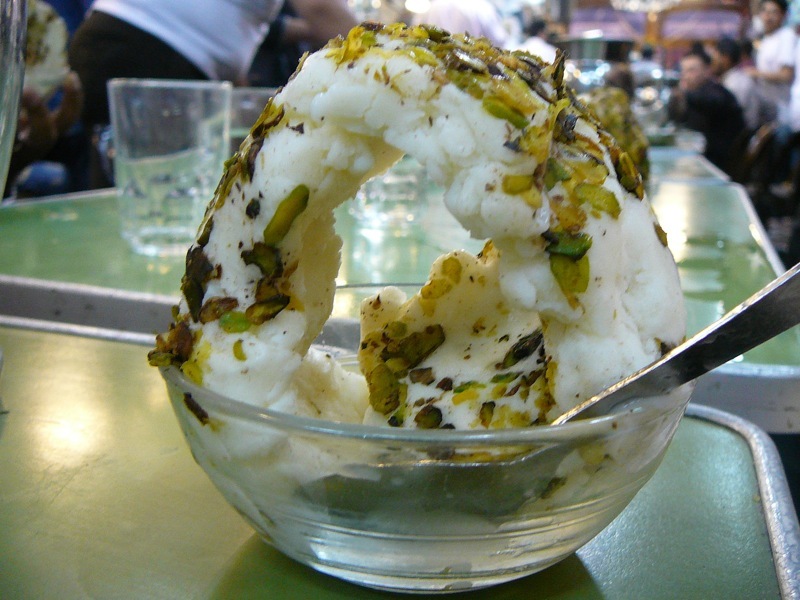 the Arab world’s most famous ice cream – Bakdash, in Damascus’ Souk Hamadiya. Bakdash was established in 1885. the booza (ice cream) it has a creamy and taffy-like consistency that comes from it’s unique preparation. it’s made is in huge cool metal tubs and large (human-sized) wooden pestles are banged into it to stretch it and make it slightly tacky and chewy. it’s phenomenal. THAT is cool. Stretchy ice cream?! Tres cool.